I encounter a deluge of frustrating microaggressions every day I am in Korea. Simply because I am white, I must be unable to speak Korean, use chopsticks, eat spicy food, keep my floor clean, or successfully engage in any activity that the locals (often incorrectly) assume to be a unique aspect of their own culture. Normally I try to clamp down on the hardwired anger that flares up at the baseless application of these generalizations to my person. And instead take some small pleasure in executing some mental swordplay on the respect I hold for the perpetrators. But some situations call for more. A white girl speaking Korean? 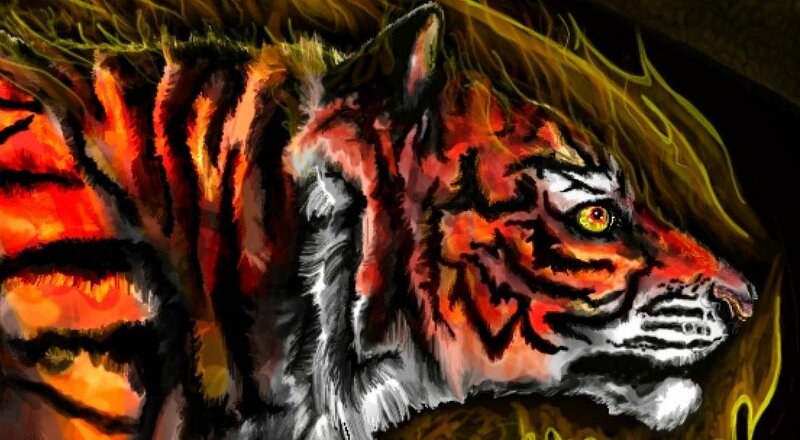 That’s like a tiger on fire. No physical laws broken here. What are your thoughts, dear readers? Did I win a small victory for social justice, or did I just take things too far? I’m interested in your opinions. 귀사에 이 편지를 쓰는 이유는 2013년6월14일에 있었던 미국인을 대상으로 된 껌 시장조사에 참가하는 과정에 일어났던 일에 대해서 알려드리고 싶고, 귀사가 앞으로 비슷한 조사를 하실때 도움이 될 수 있는 의견을 내고 싶기 때문입니다. 2013년6월14일 오후 15:00시에 미국의 껌 시장에 대한 설문조사에 참여하는 기회를 주셔서 다시 감사드립니다. 전반적 경험은 아주 즐거웠습니다. 저와 직접 연락히신 ㅇㅇㅇ씨는 기본적으로 친절하셨습니다. ㅇㅇㅇ Research의 사무실에 들어간 후부터 회사 직원도 모두 아주 친철하시고 조사 참가자를 위해 물, 음료수도 준비하셨습니다. 마지막으로 조사 하는 날에 모두와 얘기하면서 아주 즐거운 시간을 보냈습니다. 될수 있도록 편안한 조사 환경을 만들어주셔서 진심으로 감사드립니다. 다시 ㅇㅇㅇ Research와 합동하는 기회가 생긴다면 저는 주저 없이 참가할 겁니다. 그러나 조사에 참여하기 전에 아주 불쾌한 일이 하나 일어났습니다. 이 조사에 대한 공고를 담당하시는 ㅇㅇㅇ씨는 처음 저에게 전화하셨을때 저는 평소처럼 “여보세요”라고 인사하며 한국어로 전화 받았습니다. 저는 전화하기전에도 저분에게 보낸 에메일은 모두 한국어로 써서 저 분은 제가 한국어를 할 수 있는 것을 이미 알아야 하셨는데 제가 한국말을 하는 것을 들으셨을때 의심스럽게 “켈리 맞냐고” 물어보셨습니다. 저는 맞다고 응답했습니다. 그런데 저는 영어를 쓰지 않고 한국어를 해서 그런지 ㅇㅇㅇ씨는 의심스럽게 정말 미국인 맞냐고, 진짜 미국 백인이냐고, 진짜 혼혈이 아니냐고, 진짜 교포가 아니냐는 질문 계속 하셨습니다. 저는 몇 번이나 진짜 한국어를 외국언어로 배운 유럽계 미국인이라고 설명해드렸는데도 분명히 믿지 않으셨습니다. 결국 그분은 아주 놀라운 말을 했습니다: “본인의 목소리로 봐서는 매우 진정이란 걸 믿는데, 다른 한국인은 외국인이 한국어를 하지 못 한다는 편견을 갖고 계셔서 내일 우리 회사에 오실 손님이 켈리님이 한국어를 하시는 모습을 관찰하신다면 제가 제대로 그 조사에 필요한 3년이하 한국에 사는 외국인을 못 찾았다는 줄로 생각해 큰 일이 날 수 있습니다.” 그리고 제가 토요일에 “한국어를 하지 않고 폐를 끼치지 않을 거”라는 약속을 하게 하셨고 끝나셨습니다. 그분의 걱정은 이론적으로 일리있을 수 있다고 하는데 제가 토요일에 가져간 여권을 보셨다면 분명히 기록된 한국에 있는 모든 시간은 거의 1년밖에 안 되었다는 것을 보시고 이런 이상한 ‘한국어를 하지 말라’는 규칙이 필요없다는 것을 깨닫지 않으셨을까요? 좀 더 생각하셨다면 한국어는 분자 물리학이나 생명과학같은 복잡한 분야가 아니고 단지 외국어일 뿐이며, 한국인이랑 의미가 있는 대화를 할 수 있는 정도까지 배우는데 꼭 3년 이상이 필요한 것이 아니란 걸깨닫으셨을 겁니다. 좀 더 생각하셨다면 저는 한국어를 잘 할 줄 아는 이유는 아마 한국에서 3년이상 살았기 때문이 아니고 제가 열심히 공부하는 학생이고 좋은 선생님 또는 친한 친구가 저에게 열심히 가르쳐 주셨기 때문이란 것을 알게 되셨을 겁니다. 그런데 저 분은 이런 가능성에 대해서 고려하지 않고 자기의 “3년 이하에 한국말을 잘 할 수 있게 되는 외국인은 거짓말을 하는 거나 이상한 배경이 있겠다”는 편견밖에 머리속에 없었으니 “한국말을 해서 폐를 끼치지 마”라고 하셨습니다. 그럼으로써 가장 심한 편견을 갖고 계시는 한국인은 바로 그분이라고 생각했습니다. 그래도 저는 처음 만난 ㅇㅇㅇ씨랑 싸우고 싶지 않아서 토요일에 국제 연구 사무실에 갔을때 저에 부과된 약속대로 건물에 들어간후부터 한국어를 하지 못 하는척을 해서 한국어 한 단어도 하지 않았습니다. 저는 처음부터 중국, 한국에있을때는 절대로 영어를 하지 않겠다는 마음속에 있는 규칙이 있어서 한국인이랑 영어를 하는 경험은 이번이 처음이었으며 매우 불편하었습니다. 직원은 저랑 얘기하셨을때 영어를 하고 계셔서 그런지 아주 부끄럽게 한 단어 한 단어씩 얘기하시면서 저는 한국어를 하고 계신다면 훨씬 더 친철하고 재미있는 이야기할 수 있다는 생각을 했습니다. 그리고 설문조사 회의하면서 조사의 질문을 한국어로 물으시는 분은 몇 번 저에게 직접 질문을 하셨을때 저는 다 알아들어서 바로 대답할 수 있었는데 통역하시는 분은 제가 한국말을 할 수 있는 것을 모르셔서 필요가 없는 통역을 다 마치실때까지 들어야 질문을 대답할 수 있어서 아주 이상했습니다. 마지막으로 질문을 물어 보시는 손님은 저하고 또 다른 한국어를 할 수 있는 미국인 한 명이 한국어 질문을 들었을때 생각없이 바로 표정으로 반응했다는 것을 보셨을때 웃으면서 우리에게 한국어로 “제 말을 알아 들을 수 있어?”라고 물어보셨습니다. 저는 이번에도 한국어로 진실을설명하지 못 하고 저분의 비웃는 웃음을 듣을 수 밖에 없어서 매우 불편해졌습니다. 대체로 과연 열심히 공부해서 잘 배운 것에 데해서 무식한척한 것은 매우 자연스럽지 않고 불운하고 특히 불공평이었습니다. 이미 말씀을 해드린 듯 ㅇㅇㅇ Research의 설문조사에 참가하는 전반적 경험은 아주 즐거웠습니다. 앞으로 귀사에 같은 기회가 또 생긴다면 주저 없이 참가할 겁니다. 그런데 한 분의 근거가 없는 편견때문에 사무실에 있는 시간은 필요없는 불편도 있었습니다. 이런 불편을 다른 사무실에 가시는 외국인에게 주시지 않게 아래의 제안을 드리겠습니다. 토요일의 프로젝트처럼 외국인을 대상으로 된 마케팅 조사같은 일을 관리하는 회사에서 일을 하시는 분은 다른 한국인보다 특히 외국인의 실제 상황을 이해하셔야 하는 것 같습니다. 한국어를 잘 하는 외국인, 물론 특히 저처럼 연세 어학당같은 한국어를 열심히 배우는 정규적인 학습과정에 다닌적있는 외국인이 아주 많은 것은 사실입니다. 한국어는 3년이상 배워야 풍부한 대화를 할 수 있는정도만큼 어려운 언어가 아니란 것도 사실입니다. 마지막으로 한국에 온지 한1년밖에 안 된 사람도 이 편지를 쓸 수 있는만큼 한국어를 잘 배울 수 있는 것도 사실입니다. 특히 연구 프로젝트를 관리하는 회사는 근거가 없는 편견이 아니고 위의 근거가 있는 사실에 근거해서 계속 외국인을 접하는 일을 처리하시면 좋겠습니다. 이 설문조사에 참가하는 기회를 주셔서 다시 감사드리고 편지를 읽어 주셔서 감사드립니다. The reason that I am writing this letter to your company is to inform you of an incident that occurred during my participation in a June 14, 2013 survey on American chewing gum markets as well as provide you what might be helpful advice for managing such surveys in the future. I will begin by thanking you again for allowing me to participate in your American gum market survey at 3:00 P.M. on June 14, 2013. On the whole, it was a pleasant experience. When Mr. ㅇㅇㅇ from your company contacted me on the telephone on Friday, he was relatively polite. From the moment I entered ㅇㅇㅇResearch’s office on Saturday, every employee with whom I interacted was also very polite and kind and even prepared water, juice, and snacks for the survey participants. Finally, I had a very pleasant time conversing with everybody during the survey meeting. Thank you again for creating as comfortable an environment as possible for us survey respondents; if another opportunity to cooperate with ㅇㅇㅇ Research presented itself I would pursue it without hesitation. But as I was joyfully immersed in this experience, one very memorable incident arose. When the employee responsible for survey respondent recruitment, ㅇㅇㅇ, first contacted me on the phone, I picked up and answered in Korean, as I normally do. Even though every email I had sent this person before talking with him on the phone had been in Korean, he still suspiciously asked whether I was Kelley upon hearing me speak the language. I answered in the affirmative. But maybe because I continued to use Korean and not English, he continued to suspiciously ask me whether I was really American, really white, really not biracial, really not an overseas Korean. Even when I explained to him multiple times that I was a European-American who had learned Korean as a second language he very clearly continued to be suspicious. Finally, he said something that struck me as rather odd and surprising: “Judging from the sound of your voice, I believe that you are sincere, but other Korean people have a stereotype that foreigners cannot speak Korean, so if our client hears you speaking Korean tomorrow he/she might think that I was unable to recruit foreigners who have been in Korea for less than three years as required by our study.” Then he made me promise that on Saturday I would not “cause any trouble by speaking Korean” and hung up. Even though his worry might be said to make theoretical sense, had he looked at the clear record of about one year spent in Korea as inscribed on the passport that I brought with me on Saturday, wouldn’t he have realized that his admonition not to speak Korean was unnecessary? Had he spent just a bit more time in thought he would have realized that Korean, being not an exceedingly complex field of study like particle physics or biomedical science but, rather, just another modern language, does not take three years of study to learn enough to participate in meaningful conversations. Had he spent just a bit more time in thought he would have realized that the reason I speak Korean is perhaps not that I have been here for longer than three years but maybe that I am a passionate student who has benefited from the care and hard work of many excellent teachers and friends. Therefore might one not say that the Korean person with the strongest prejudice was this man himself? Nevertheless, because I did not want to get into an argument with someone whom I had just met, I kept the promise that had been imposed on me and, feigning ignorance of the Korean language, spoke nothing but English from the moment I entered the ㅇㅇㅇ Research office on Saturday. Since, from the very start of my life in China and Korea I have respected my own internal rule not to speak English with the locals, this was my first time voluntarily interacting in English with Korean people, and it was, as such, very uncomfortable. When the company employees who greeted me spoke with me in English, they were visibly embarrassed and spoke in choppy one-word sentences; I couldn’t help but think how much more warm and interesting our conversation might be were it in Korean. Then, as we were conducting the survey, in the few instances that the woman asking the questions in Korean addressed me directly, even though I could understand her inquiry and thus respond without interpretation, because the translator at her side did not know that I could speak and understand Korean, I had to undergo the odd experience of waiting for the unnecessary translation to finish before I could say anything. Finally, at one point the client asking the questions noticed that another Korean-speaking American and I were comprehending her Korean because of unconscious facial or postural responses to her words; laughing, she asked in Korean if we could understand her. But instead of responding to her question honestly I could do nothing but uncomfortably listen to her mocking laugh. All in all, feigning ignorance of something that I worked so hard to learn was, as might be expected, unnatural, unfortunate, and, above all, unfair. As I have already said, on the whole, my participation in the ㅇㅇㅇ Research survey was a pleasant experience. In the future, if your company offers similar opportunities I would jump at the chance to take advantage of them. But because of one baseless prejudice my time inside your office suffered from unnecessary discomfort. So that you might avoid conferring such discomfort on other foreign individuals in similar studies in the future, I would like to offer the following advice. Especially those who work at a company that manages marketing research directed at foreigners like Saturday’s project should, better than other Koreans, understand the actual situations of foreigners. It is a fact that very many foreigners, especially foreigners who, like me, have spent time at a formal language training program like the Yonsei KLI, speak Korean well. It is a fact that Korean is not so difficult that one needs to study it for more than three years in order to have a rich conversation with a Korean person. Finally, no matter what some prejudiced person might think, it is a fact that someone who has been in Korea for only little more than a year can learn enough Korean to write a letter like this. Especially a company that manages research projects should recognize the importance of thinking with evidence-based facts like those enumerated above rather than baseless prejudices. Thank you again for the opportunity to participate in your survey as well as the time you took to read this letter. I could only imagine how hilarious (and awkward) it must have been to know exactly what is being said to you in Korean, then to hear the English translation. I admire your consideration, and yes, perhaps, civil obedience. It’s actually a great as well as very helpful piece of facts. We’re delighted which you shared this useful information here. Be sure to stay us all knowledgeable like this. Many thanks expressing. First, fear of the outsider is deeply ingrained in human genes. These behaviors are instant and totally unconscious. Second, while they are usually experienced as malevolent, there is a very sound biological basis for fear/avoidance of outsiders – the risk of infection from fatal bacteria. For hominids, for millions of years ago, infections/disease and sudden death were the main threat to life. Outsiders would be the main source of new pathogens and thus the main risk of disease. Look at Indians in the new world. So, this fear of outsiders response was life saving – a very long time ago. Not so much anymore. Still, it is hardwired in our brains and always will be.